How many products will it take before your skincare routine starts to become too time-consuming? 8, 12, 14? With time being a constant constraint and skincare products saturating the isles of your local department store, it can feel overwhelming to pick the best home care. At Theory Aesthetics, we want to keep your guesswork to a minimum. This is why we select pharmaceutical grade products that are good for your skin. The system has already been set in place (pre-established), and the results are clinically tested for effectiveness. If you are struggling with choosing the best skincare, a good approach would be to consult with a skin therapist. Most skin clinics will carry quality skincare lines and only offer a few options that they feel would be best for their clients. Department stores, on the other hand, tend to have more trendy cosmetic grade offerings. To be a bit more specific, being trendy certainly does not equal (equate) being effective. Also most often the price points in comparison to the ingredients in the product are higher. Unfortunately, consumers are just not exposed to skin clinics/med spas so most people will rarely understand the difference. The Food and Drug Administration (FDA) classifies skincare products into two categories: cosmetic and pharmaceutical. Pharmaceutical grade skincare products just as cosmetic-grade skincare are both used topically however, Pharmaceutical grade skincare are actually able to penetrate into the epidermis and into the deeper layers of the skin. Pharmaceutical grade skincare and its ingredients are able to affect change in the skin and go through a lengthy and expensive process just to be approved to sell to the public. Keep in mind that Pharmaceutical grade products can only be bought through a licensed professional as these products contain a higher percentage of active ingredients and are of higher quality. So you will need a professional to determine which products will be best for your skin type, condition, and concern. So if you are ready for a minimalist approach to skin health you may want to visit a local clinic for your skincare needs. Here are a few tips that can help you in your selection process. 1. Cleansers are a must, as they cleanse the skin of impurities along with the day's makeup. A great approach to buying a cleanser is having one be multifunctioning. Most cleansers should be balancing and able to thoroughly cleanse without stripping the skin of essential oils. 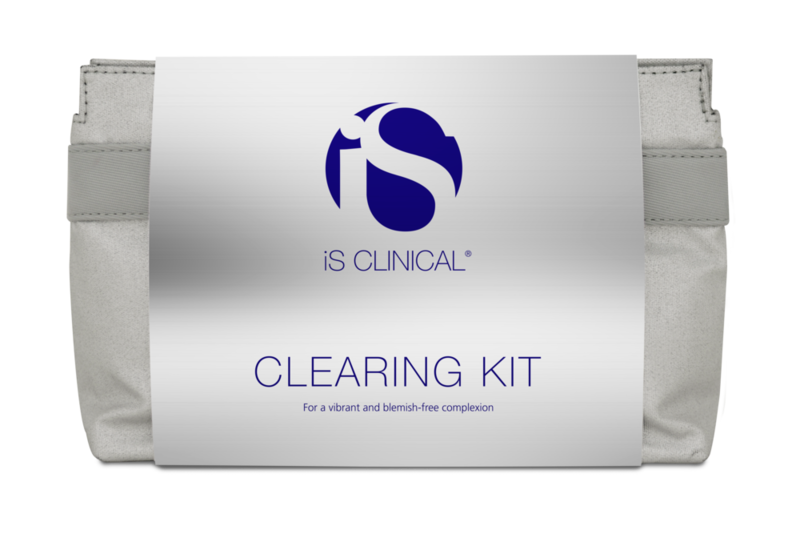 A great option is iS Clinical Cleansing Complex as it is actually a 3-in-1. Cleansing Complex cleanses, removes makeup, as well as keeping the skin's PH levels balanced and is excellent for all skin types, ages, and skin conditions. 2. Say goodbye to your daily moisturizer and replace it with an Active Serum and an SPF. Combine these two products together to create your customized "active" daily moisturizer and UV protection will help to simplify your process. Utilizing a Serum for free radical protection and your SPF for UV protection to create your custom daily moisturizer with SPF. Serums penetrate into the skin and give more daily protection. 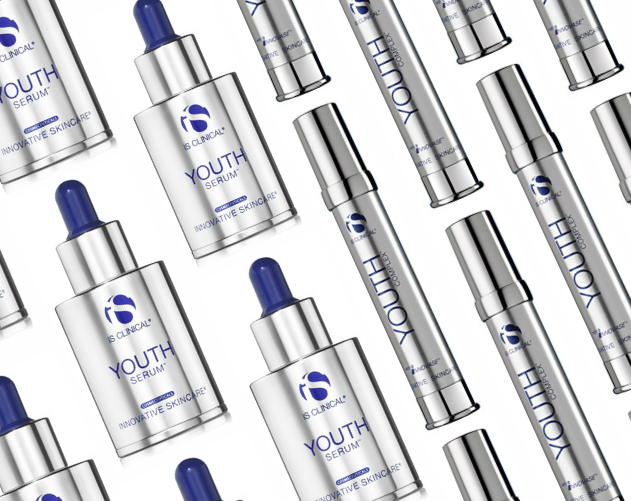 iS Clinical has a great line of Active Serums and we love their Extreme Protect SPF 30. This combination is a new trend in the skincare industry. 3. For those of you who cannot do away with a daily moisturizer, another cost and time savings approach is to buy a night creme that you can wear during the day as well. This is especially a great option for dry/dehydrated skin types as night cremes are more heavy vs. lightweight day cremes. 4. Also if you still are unable to fully commit to the products that your skin therapist has suggested for you, buying a trial kit in order to determine which products you like the most in a specific line is a great plan of action. Trial kits allow you to sample the core products and see if you want to buy the full-size products. Also if you tend to have a combination of skin conditions you can buy two kits that are skin condition specific and test the products out that way. We like this approach as you are able to tailor your home care while having access to the product lines your skin requires the most. With skincare, it is important to understand that in order to see the full benefit you must use the product for a full month to six weeks. This is due to the skin's natural turnover rate. A full skin turnover cycle is recommended unless the product is causing you serious irritation then it is important to discontinue use and contact your skin therapist. They will be happy to help you determine the cause of the reaction and help you find another suitable product. If you have questions about our skincare approach or are curious about our lines that we carry you can contact us at 404-496-4091 or email us at info@theoryaesthetics.com. We also encourage you to book a skin consultation whether over the phone, virtually or in-clinic. We love to talk skin. We also invite you to visit us at www.theoryaesthetics.com. Follow us on our Instagram page and our Facebook page for latest Theory Aesthetics updates, current and new service offerings and promotions. In addition, we would love to share our passion with you and invite you to schedule a procedure with us. We are passionate about skin care treatments. Our goal is to make Atlanta look healthy with radiant skin.